For the sixth year in a row, the Portland Timbers, Portland Thorns FC and T2 have partnered up with Hands On Greater Portland, the City of Portland and numerous nonprofit organizations for the organization’s annual Stand Together Week. Since 2012, Stand Together Week has united players, staff, sponsors and supporters in a week-long community initiative to improve local neighborhoods and give back to Soccer City. Stand Together Week was held June 4 -10 and featured the completion of thirty service projects, thanks to the work of over a thousand dedicated volunteers. Each of the projects made a meaningful impact within the focus areas of Stand Together: youth activity, youth education and environmental awareness. Projects ranged from environmentally focused work, such as sprucing up community gardens, removing non-native invasive plants, and hosting beach cleanups, to youth focused work, like restoring books and hosting youth soccer clinics. Additionally, as in times past, supporters were given the opportunity to work alongside some of their favorite athletes and coaches, collaborating to improve their collective communities. 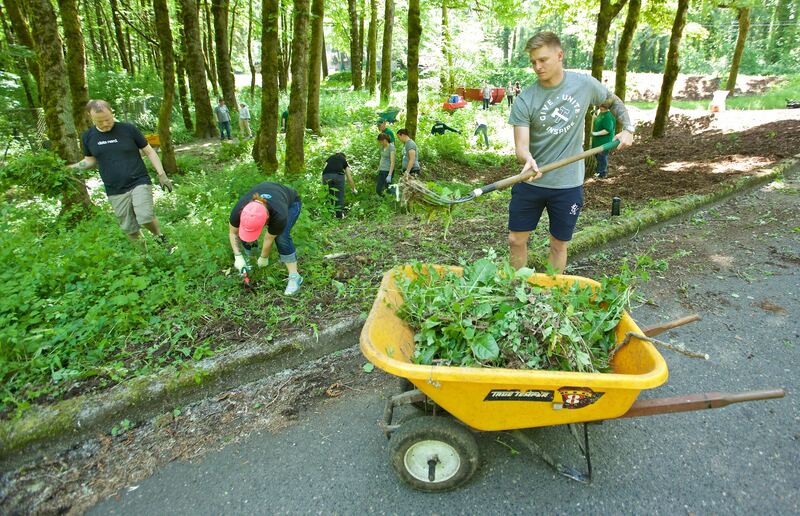 Since 2012, Stand Together Week Participants have donated 12,631 hours of service at more than 163 events benefitting youth and the environment in the greater-Portland area. 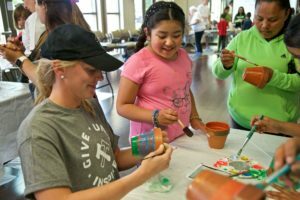 In that time, volunteers have served nonprofits, such as Playworks, Zenger Farm, Boys & Girls Club, Active Children Portland, Children’s Book Bank and the 4 Worlds United Soccer Alliance amongst many others. 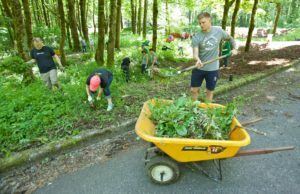 The Timbers, Thorns and T2 have collectively continued to emphasize philanthropy as core tenant of their organization, inviting Portlanders to engage in service that benefits local youth and the environment, while leading by example in their community.